The European sword by Windlass Steelcrafts is a simple sword with a simple name, but for years it has been perhaps my favorite medieval one handed arming sword due to it's honesty and it's incredibly low price point (as far as truly functional cutting swords go). 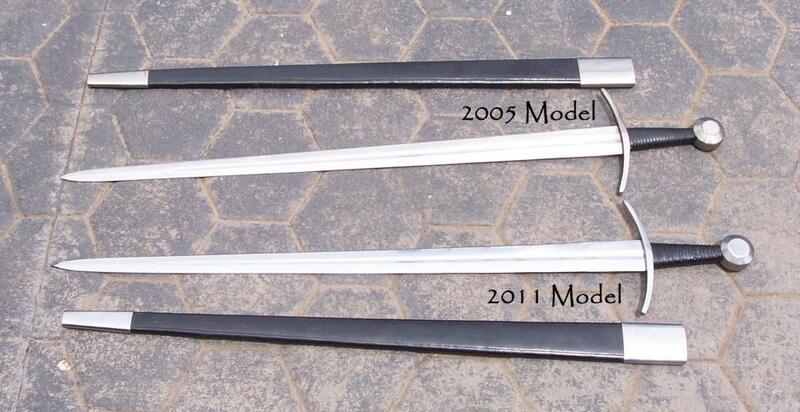 Despite being critically acclaimed by many sword collectors, as with many swords made by Windlass Steelcrafts, it was discontinued after about a year and seemingly passed into history - brought back for a last hurrah in 2011 and finally discontinued for good towards the end of 2018.. Here, then, is it's story.. 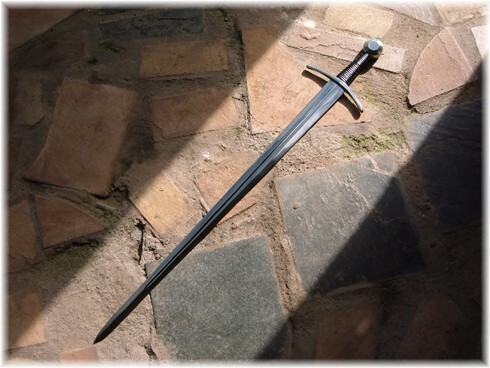 The European Windlass sword is a true classic - and indeed, it was my first love as far as medieval arming swords go.. 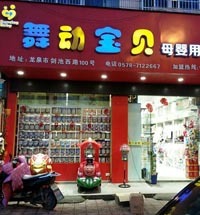 So much so that it's image was central to the original SBG logo way back in 2005. But when I first ordered it I was naturally quite skeptical..
"Beautifully balanced, this is the type of weapon that the tough, hard bitten, professional fighting man of his day would have chosen. 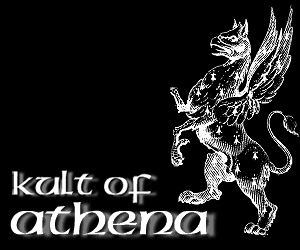 It is simply a no-nonsense sword that can perfectly perform its one purpose." But despite this (or maybe because of it!) I remember that when I was first opening this swords box, I really had no idea what to expect. 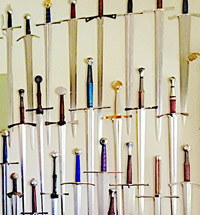 "For around US$175, I really didn't expect anything special.."
In the back of my mind I was haunted by the cautioning words of some collectors (many of who wouldn't be caught dead with a sword that cost much less than US$1000) who were saying that Windlass swords weren't much better than a "wall hanger". But on the other side of the coin, I was reading some very positive reviews posted to the Sword Forum International by people who had actually bought this sword and were pleasantly surprised by its handling and overall quality. "At the end of the day though, what really attracted me to this particular sword was its simplicity..."
It certainly is not a fancy looking sword. In fact, in some ways it really looks quite plain. However, in terms of its overall historical accuracy, it is an almost exact replica of a 14th century sword held in trust at the Cleveland Museum (see the side by side comparison pictured to the right. The only real difference is in the size of the pommel). But like I was saying earlier, the quality and appearance of some of this swords' fittings, while not immediately noticeable, do leave something to be desired on closer inspection. Though it must be said that these "problems", which are concentrated in the appearance of the hilt and pommel - are purely cosmetic in nature and in no way effect the overall structural integrity. The first cosmetic flaw that I noticed was that the grind where the tang was peened through the pommel at the very bottom of the handle was pretty obvious. And if you look at the picture to the right, you can just make out the raised bump where the arrow is pointing, which could have been finished and polished a bit better. And the actual handle wrap itself, made of a cheap synthetic leather wrap that is common to many low-end Windlass swords, was really quite hideous. Not to mention how it feels quite uncomfortable to grip when swinging it around for extended periods. Definitely a good candidate for some simple "home improvements" starting with a new wrap. However, while these cosmetic issues let it down a little bit, the way this sword actually handles is like nothing else. I distinctly remember just how well balanced and light this 34" long blade felt in my hand. But what I liked the most was how swiftly it cut through the air. On each good swing, it makes a very audible, satisfying whooshing sound that truly is quite awe inspiring to behold. 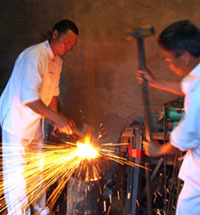 Changing from one cut to another is essentially effortless, with the swords superior balance and handling most evident. 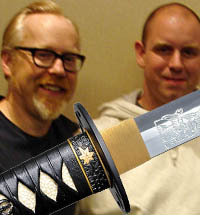 "In fact, for practicing swordsmanship, this sword would have to be the very best value for money choice you could make..."
'Overall, the European sword is very tightly put together, and the full tang peened to the pommel ensures no chance that the blade will come flying out like a missile. Speaking of which, the blade itself is really quite exceptional. Sure, it isn't sharp. 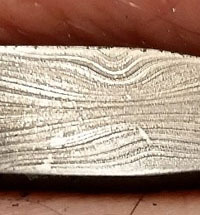 Though with an average edge thickness of less than 1mm, it isn't far off. And yes, while it is top quality high carbon steel, it is given a shiny application of lacquer which protects the blade from rust but which gives it a somewhat overly shiny "chromed" appearance straight out of the box. 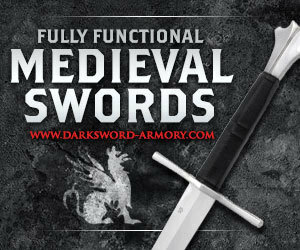 Where the European sword really shines (pardon the pun) is in the exceptional quality of the single fullered blade, which finds the perfect balance between strength and flexibility. 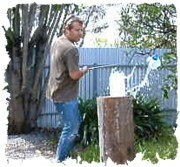 It doesn't wobble or flap about when you wield it. But give it a good full strength bend and it immediately springs back into shape - a sign of an extremely good temper and heat treatment. Now of course, as this sword comes out of the box with a dull edge, it isn't the kind of sword you'd use for heavy duty test cutting. But with a false edge of less than 1mm, it's relatively simple to sharpen this sword up (and at most sites, for a small additional fee, you can get the sword shipped to you sharpened, though I prefer to do it myself). And since the quality of the steel is truly quite awesome, once sharpened it keeps its edge easily - making it perfectly suitable for cutting practice against light to medium targets such as cardboard boxes, water filled bottles, pool noodles, flying pizza boxes, etc. In fact, even unsharpened, the Windlass European sword cuts through cardboard boxes with ease (it's quite a box killer actually!). Plus, due to the exceptional heat treatment and quality of the steel used in its construction, the surface of the blade doesn't scratch up like some softer swords do. Just have a look at the picture to the left, where a one handed downwards swing with the unsharpened blade goes effortlessly all the way to the bottom of the box with (in the background there, you might also notice a nice slice of box from a horizontal cut too!). "With everything said and done, I'd buy this sword again in a heartbeat!" 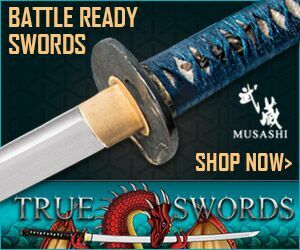 In fact, I really think that if you are looking for a very affordable, yet totally functional sword for practicing swordsmanship  this would have to be one of my top picks. The European sword really does handle incredibly well, and I imagine that on an early medieval battlefield, a soldier or mercenary of the time would truly appreciate its qualities. Sure, it has a few minor cosmetic issues. 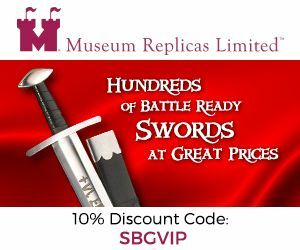 But at the end of the day, I highly recommend it for anyone looking for an authentic replica of a European sword at an extremely affordable price. The Windlass European sword was discontinued around 12 months after I bought it, which is actually fairly normal for Windlass Steelcrafts... Due to popular demand, we were able to convince them to bring it back in 2011, and much to their credit, the sword had not changed its design and was as good as the first time around. Unfortunately, all good things must come to an end, and it was finally - and probably permanently retired, towards the end of 2018.. If the situation changes, we will be the first to let you know - but for now it seems that this excellent sword is only available on the secondary sword market now - and if you were one of the lucky ones who were able to get one - hold on to it! It may not go up in value, but it really is one of the best swords that money can buy. 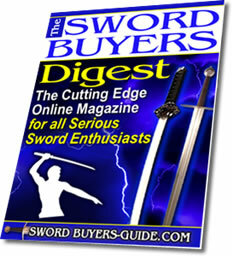 I hope this information on selecting a good European sword has been helpful. 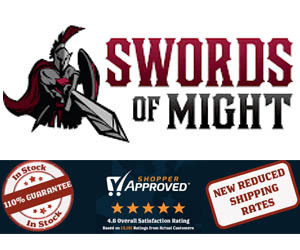 To return to Affordable Replicas of Medieval Swords from Selecting a nicely priced yet historically accurate Replica Medieval European Sword, click here.